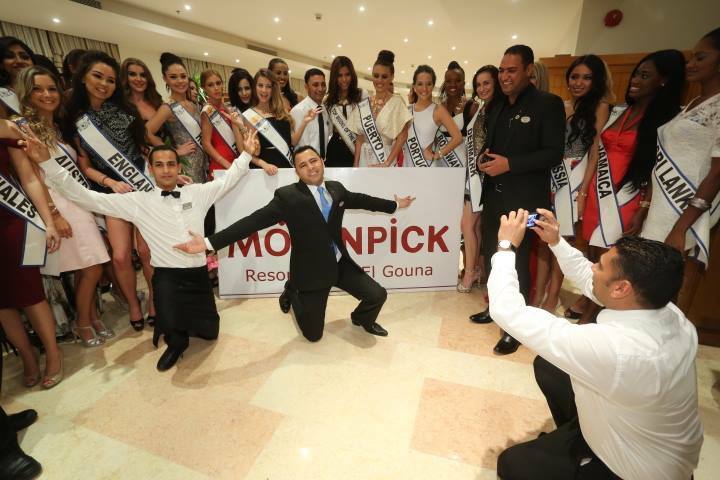 Contestants of Top Model of the World 2014 were invited to Hotel Movenpick, El Gouna city. Movenpick was the venue for the finale of Top Model World 2013 and managed to pull out a great show. From the pictures, few girls are surfacing up as present front runners for the crown, like Puerto Rico, Caucasus, Paraguay, Tanzania, Jamaica, India, France, Italy, Montenegro, Portugal etc… We would like to see few more pics of other girls as well to arrive at our first Expert’s Choice for the Crown of TMW’14. Check out the pics of contestants at dinner party at Movenpick.